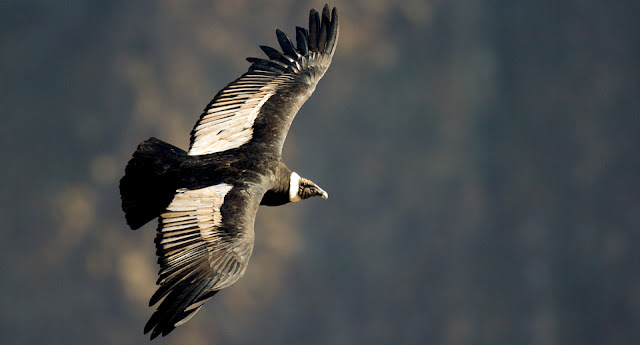 The Andean condor (Vultur gryphus) is one of the largest birds that still lives today. 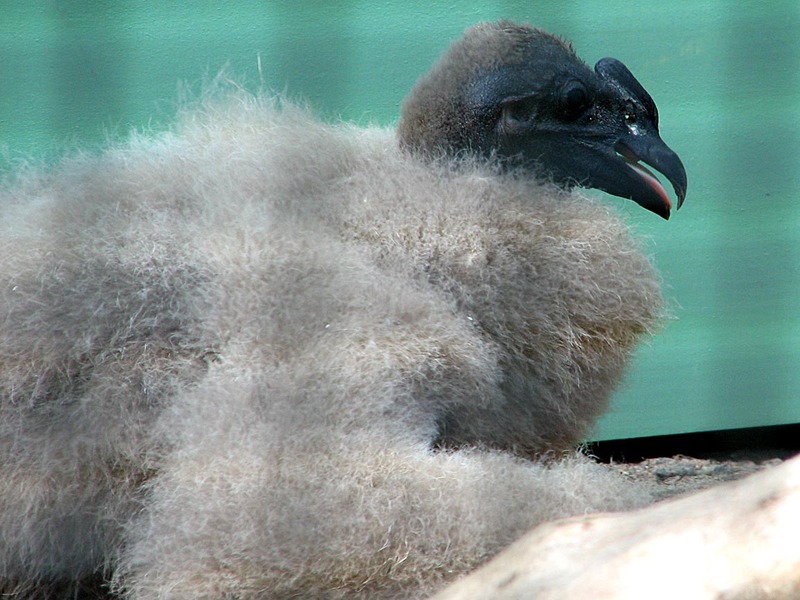 In the group of New World vulture found in the Andes Mountains regions in the Western South America. 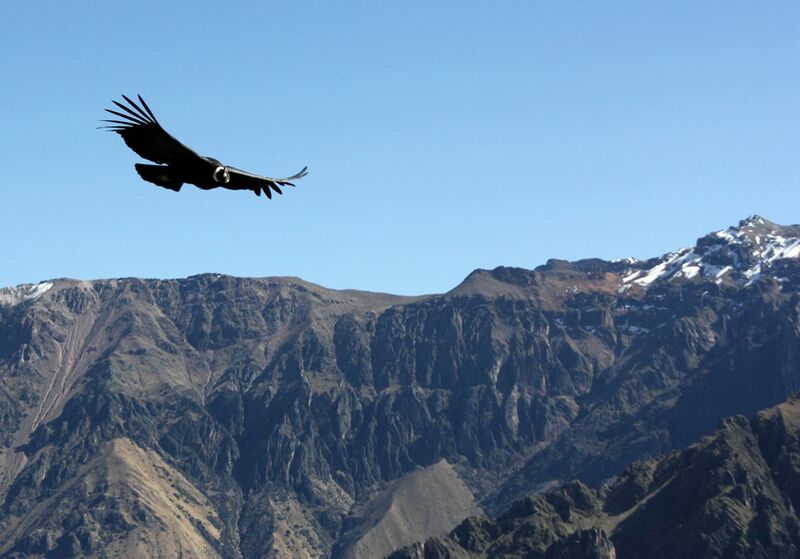 Andean condors can be found in Colombia, Bolivia, Ecuador, Peru, Chile, and Argentina. It’s rarely seen now in Venezuela, as in any other areas, the numbers keep on declining. Andean condors are massive birds with weight of 11 to 15 kg (24 to 33 lb) for males, requires big wings with wingspan up to 3.3 m (10 ft 10 in). The wings not just longer in length but also bigger in areas compared to any other flying bird such as wandering albatross, and Dalmatian pelican. Andean condor rarely flaps its wings when fly because it has less major muscle (pectoralis major) as we can see in other high flapping birds. Its wings size and shapes helps it to soar or gliding the air current. This is also a reason why Andean condor prefers to roost on high places where there are more wind to help it to fly with less effort. It’s also using the thermal current as the air rising up from the desert heat. Andean condor same as vultures are primarily a scavenger. They fly up high in the sky while scanning any animal carcasses. 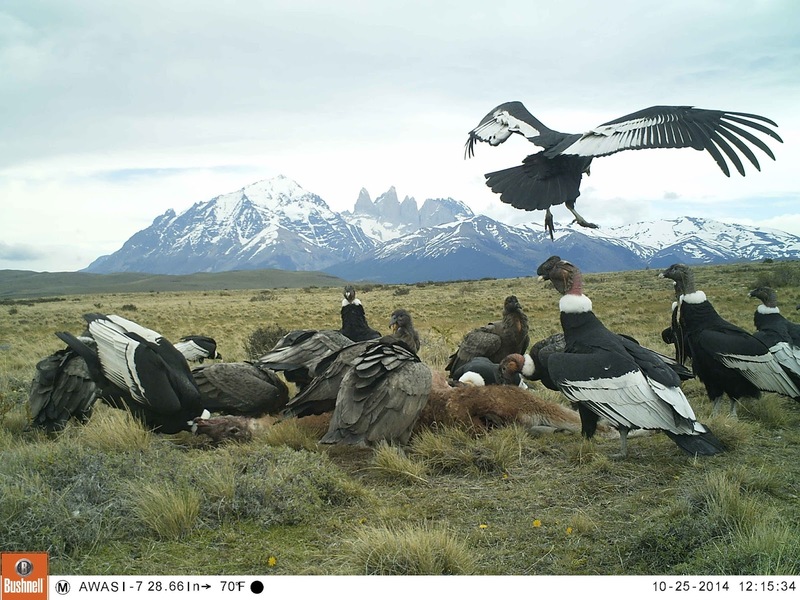 Andean condor can sometimes join other vultures or other scavenger birds in searching for carrion. They prefer on larger carcases such as llamas, alpacas, rheas, guanacos, deer and armadillos. They also can get plenty of food from the coastal areas – from the dead, sea creatures. Even though rarely hunting, Andean condor sometimes kills smaller animals such as rodents, birds and rabbits. 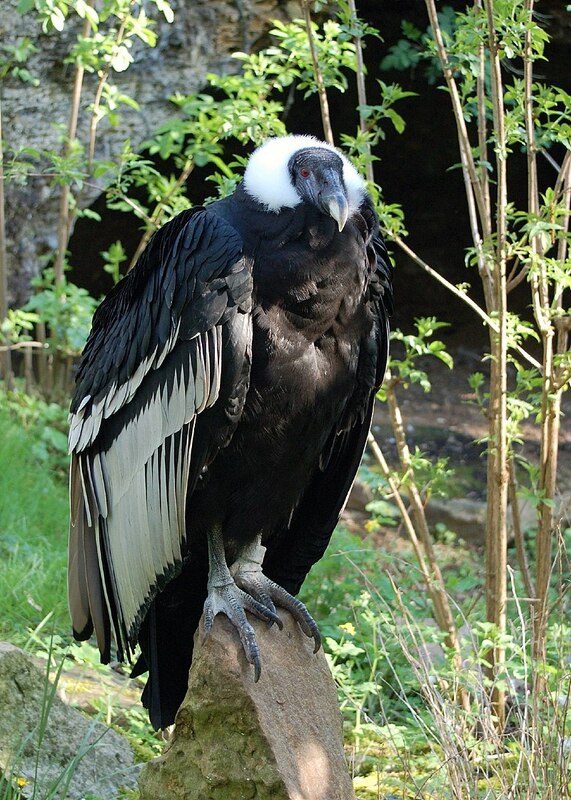 Andean condor will become mature by five to six years of age. They prefer to build their nest at an elevation of 3,000 to 5,000 m (9,800 to 16,400 ft) with only one egg for every two years. 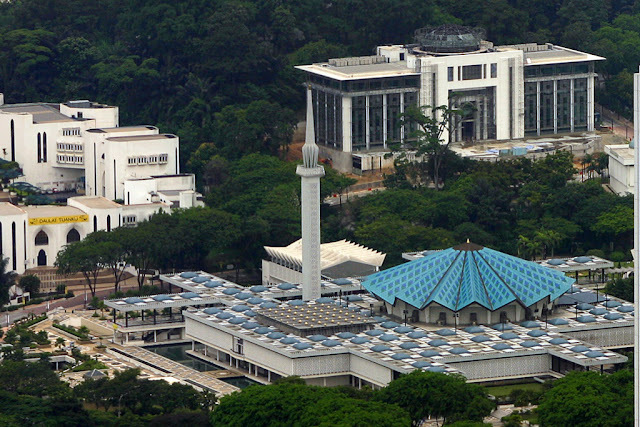 The egg will hatch after 54 to 58 days of incubation. Then their parent will take care of their young for a full year. Condors and vultures are playing important roles to clean up carcasses to avoid the spreading of diseases. They have special capabilities to avoid toxicity produces by the bacteria they eat. Since Andean condor is very big, it become a national symbol of Argentina, Bolivia, Chile, Colombia, Ecuador, Peru and Venezuelan Andes states. It also plays an important role for peoples in those regions. It can be seen clearly from their cultures, mythology and arts. The numbers of Andean condors are still declining and the conservation status of this bird is listed as Near Threatened by IUCN in 2012.